Joy and family have been overwhelmed by the loving support that they have received. 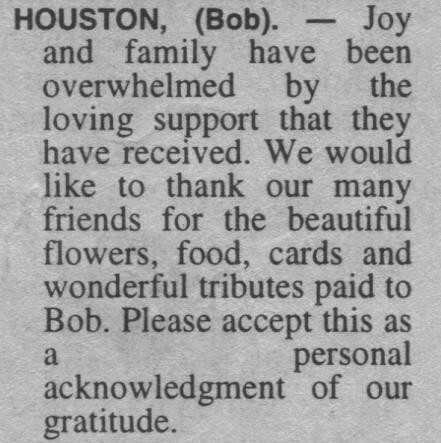 We would like to thank our many friends for the beautiful flowers, food, cards, and wonderful tributes paid to Bob. Please accept this as a personal acknowledgement of our gratitude.